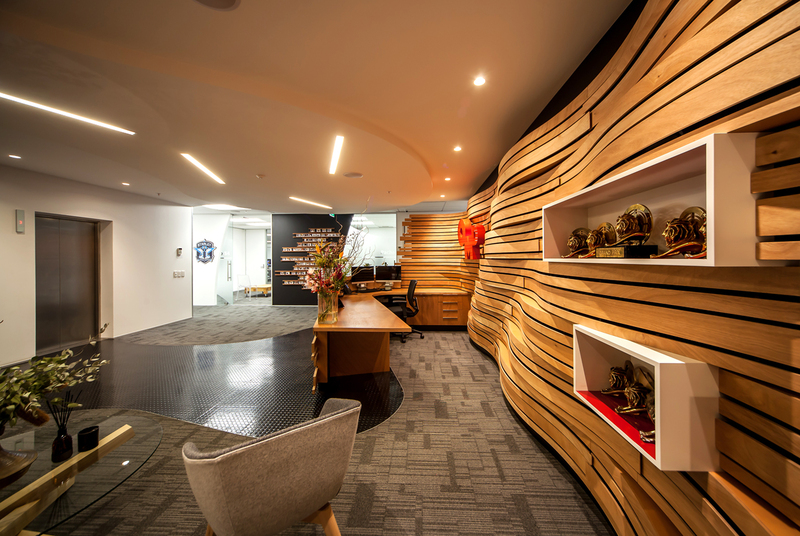 Having outgrown their previous office space, this Auckland branch of an international media company sought to use the opportunity presented by the need for a new fit-out to create a dynamic physical representation of their brand. 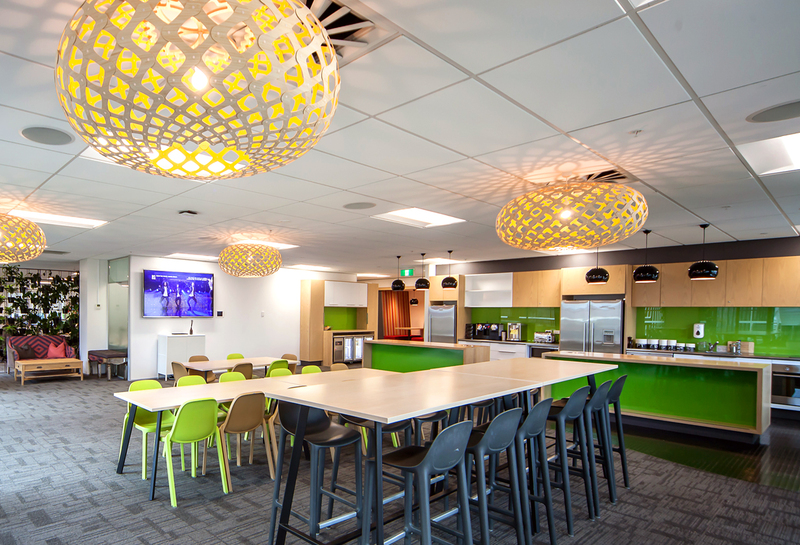 To work within the project budget, clever solutions were required to maximize value: an emphasis was placed on providing an eye-catching reception area as well as large, high-quality social spaces for staff and clients. 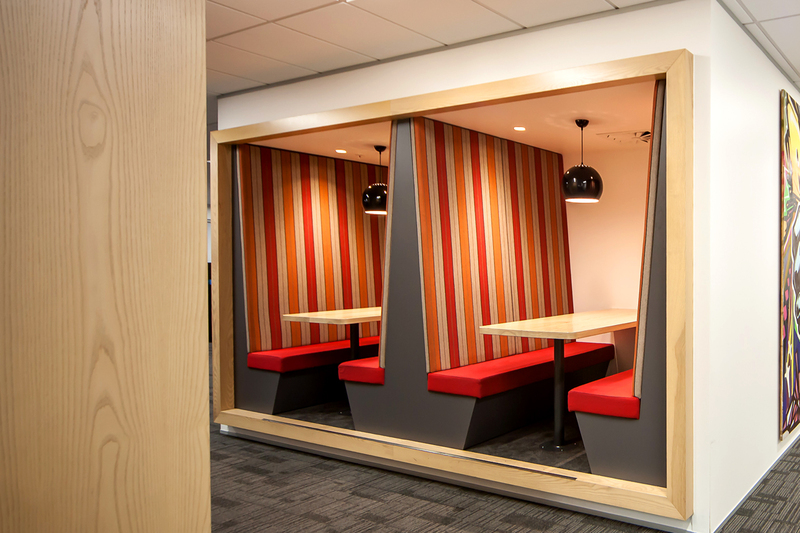 Whilst re-using the existing carpet & ceiling to reduce costs. 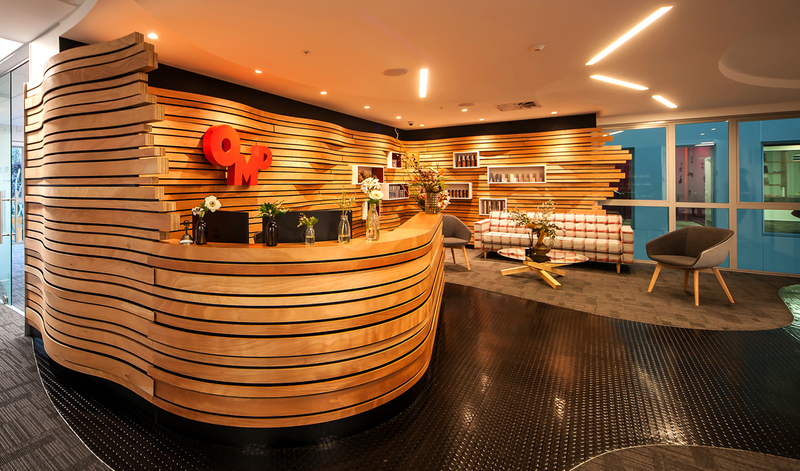 A variety of work spaces was created for OMD’s 100+ staff to provide maximum flexibility– small scale booth seating areas, a café area with outdoor space, bar-style high tables & leaners, a variety of meeting rooms (each with their own unique theme), as well as a large open plan office area. 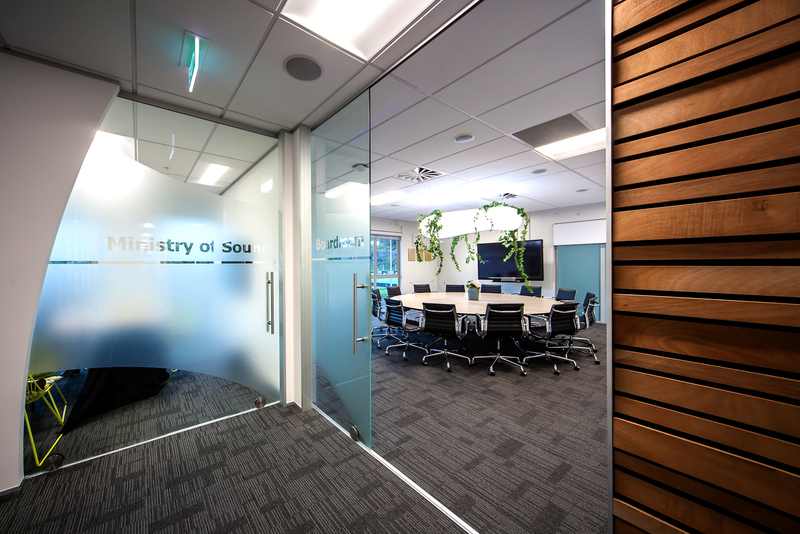 The creative hub of the agency was given its own dedicated space for creative brainstorming in the center of the office.